As mentioned before, "The Sound of Music" was the go-to movie of my childhood. Well, the musical is finally here in Metro Manila, showing at the Newport Performing Arts Theater in Resorts World starting today, October 15, 2011, and running until December. 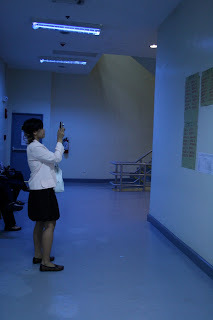 (left) Ana doing what bloggers do. (right) French toast and coffee - breakfast time? Haha. It was actually really good, though. 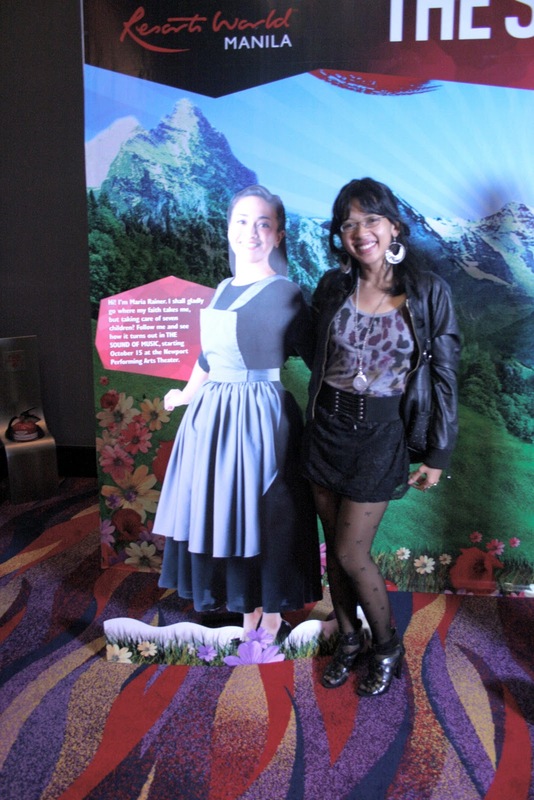 Swanky decor and life-sized cut outs of my Tita and Audie Gemora. I was actually very pleasantly surprised to be seated in the second row - we were so close! In fact, I didn't even need my glasses, but I was so excited about everything, I just realized before going home that I was wearing them in all of my pictures... Gross. So, please bare with me, look at the pictures, and then forget they ever existed afterwards. Lol. We weren't allowed to take pictures because we weren't technically "press", but the show itself was mind-blowing. There is no other word for it. Aside from the heartwarming and childhood memory-inducing songs, the musical was a real visual treat with the video animation scenes done on a NPAT's LED screen, known to be the biggest in Southeast Asia. I had never seen anything like it before and it really amped up the experience big time. As for the singers, they were impeccably cast. My aunt Joanna never fails to enthrall me when she's on-stage and she wasn't any different this time around. So inspiring! The ones that really stood out for me, though, were Audie Gemora as Captain Georg von Trapp and Pinky Amador as Baroness Elsa Schraeder. When I first saw the cut-outs, I must admit that Audie didn't look very scary or authoritative, but I stand corrected. He did the Captain real justice - and so did Pinky for the Baroness. Everyone else did their role justice, too, including the Von Trapp kids. 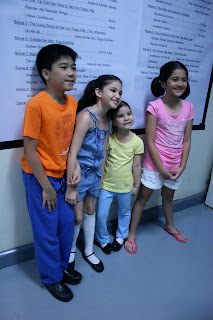 Look out for Atasha Muhlach as Brigitta, though, and Alexa Villaroel as Gretl - she was just adorable. Jose Rizal/Hitler hair FTW. Haha. 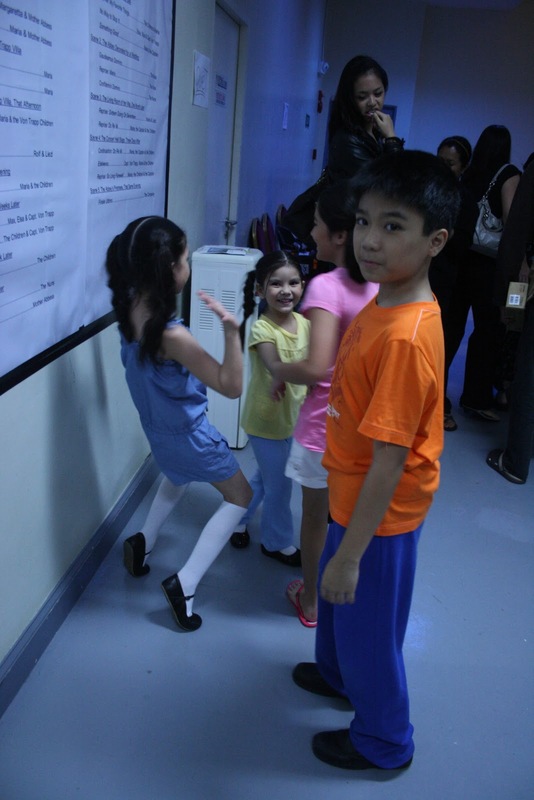 (right) Anton Posadas as Kurt, Paula Zamesa(?) 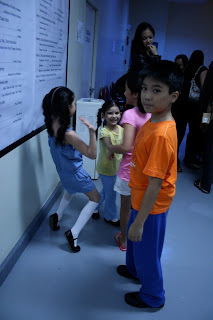 as Marta, Alexa Villaroel as Gretl and Atasha Muhlach as Brigitta. Thank you so much, Tita Joanna! 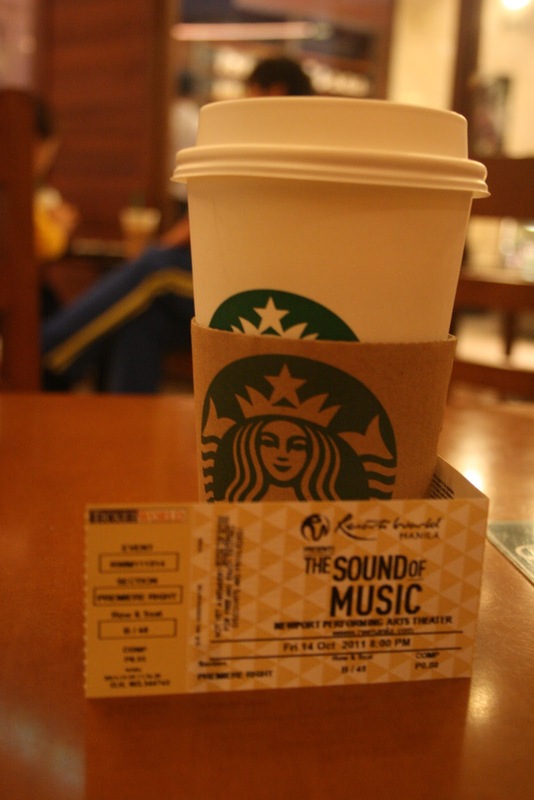 :) I enjoyed it immensely. Might even go back for seconds... or thirds. Who wants to join me? The Sound of Music starts showing today and runs Wednesdays to Saturdays at 8pm along with matinee performances at 3pm on Saturdays and Sundays. The prices are as follows: VIP (P2000), Premiere (P1700), Deluxe (P1300), and Balcony (P1000). 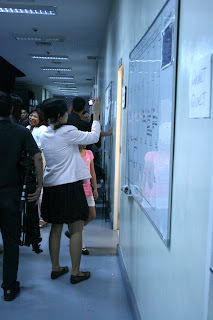 Naturally, I'd recommend you to watch the shows where my Tita Joanna plays Maria. :) So, to find out her show schedules, subscribe to her newsletter here. but you look so cute with the glasses on. Thanks by the way for dropping by my blog and leaving a comment. Am following back! My Impulse Co. x Bangkok Goodies Giveaway Winner! Bioessence: 17 and Loving It! Il Mercanti Food Bazaar: Can You Say "Food Trip"? Impulse Co. x Bangkok Goodies Giveaway! October Movies to Watch Out For! Want to Join the Laura Mercier Workshop? Do You Want a BlackBerry Cassette-Themed Case?